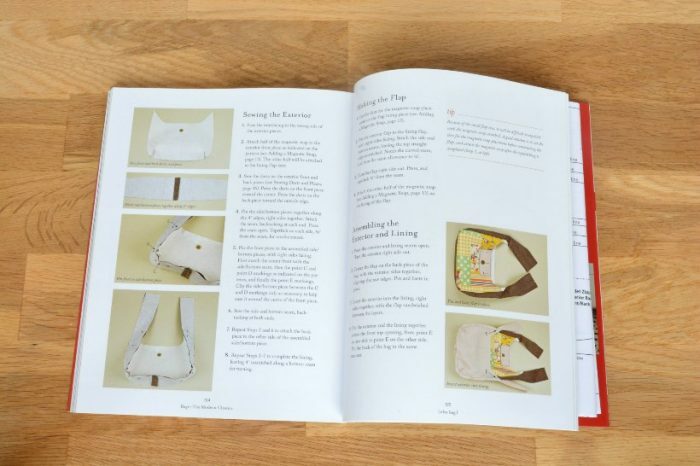 The introduction to the book is encouraging and enabling, inspiring readers to have a go at making their own bags to suit their own personal unique style. 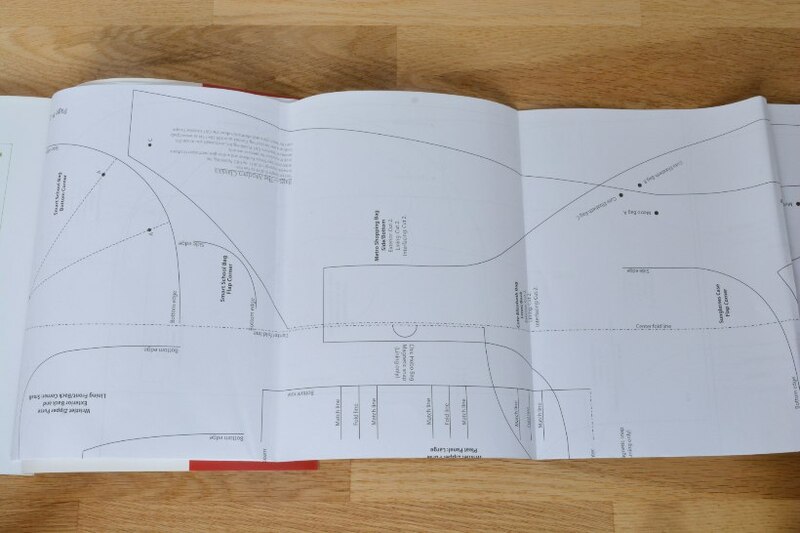 The book has 19 different bags designs, which have been grouped by size of finished bag. These are clearly set out on the contents page. The bags are graded by difficulty. New bag makes are encouraged to start with simple projects and build up their skills. Although the bags are listed on the contents page I felt it would be helpful to indicate on the contents page the difficulty of each bag, and I was little disappointed at the lack of more complex designs. The pattern pieces are given on a pull out paper piece, and printed to real size. However inevitably due to space the pieces overlap each other so you need to trace round the pieces for the bag you are making up. The projects are beautifully illustrated and demonstrate the bags made up in different fabrics and colour choices. Personally I appreciate this and find it easier to visualize how my fabric choice may look when made up. I also like the fact about half the bags are shot with a model which helps give a sense of scale for the finished bag. In summary if you are an experienced bag maker then I would suggest this book is not for you. 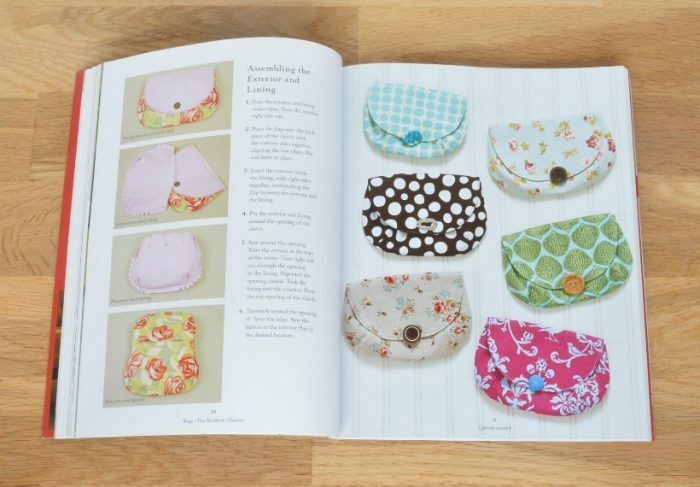 However this book is beautifully illustrated, teaches a variety of common bag making skills and is great for a beginner bag maker. "My photo school – lightroom course"